एनएफओ सदस्यता के लिए 16 नवंबर, 2011 को खुलेगा और 23 नवंबर, 2011 को बंद होगा। योजना के लिए प्रवेश और निकास लोड शुल्क लागू नही है । योजना की अवधि इकाइयों की आबंटन की तारीख से 18 महीने है. योजना लाभांश पेआउट और विकास विकल्प प्रदान करती है. 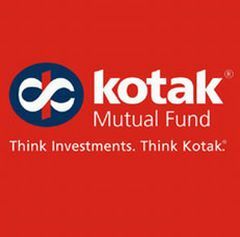 Kotak Mutual Fund has announced the New Fund Offer (NFO) Kotak FMP Series 65, a close ended debt scheme. NFO opens for subscription on November 16, 2011 and closes on November 23, 2011. No entry and exit load charges is applicable for the scheme. The duration of the scheme is 18 months from the date of allotment of units. The scheme offers dividend payout and growth option. The scheme will be benchmark against CRISIL Short-Term Bond Fund Index. The minimum application amount is Rs 5000 and in multiple of Rs 10 thereafter. The fund manager of the plan will be Mayank Prakash.